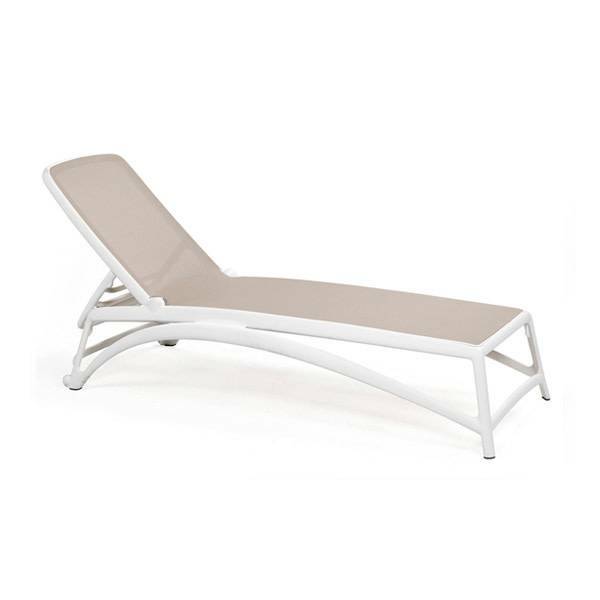 Sunlounger with the frame made of uniformly coloured fibreglass polypropylene resins with UV additives and cover with breathable synthetic fabric and replaceable. 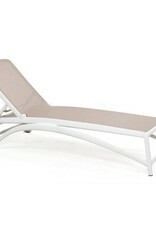 Stackable, back reclining in 4 positions, with small wheels. Matte finish.